Following the memorial service of Mr. Ernest Mokganedi held at the Department of Environmental Services in Pretoria yesterday (1 August 2018), the Board of the Southern African Wildlife College (SAWC) would like to pay its further respects to its fellow Board member. “The SAWC Board has lost one of its key members. We were extremely shocked to hear the news of his passing in a tragic biking accident. We extend to the family, colleagues and friends of Mr. Mokganedi our support and share their pain, ” said Dr. Bartholomeu Soto, chairperson of the Board. Mr. Mokganedi joined the SAWC Board in 2007, since then he made valuable contributions to the development of the College. We will miss his constructive interventions and his warm smile. May your soul rest in peace dear Friend. Pictured from left are members of the SAWC Board of Directors: Prof. Brian Reilly (Tshwane University of Technology), Mrs. Theresa Sowry (SAWC), Mr. Paul Bewsher (Peace Parks Foundation), Mrs. Lize-Mari Lynch (Peace Parks Foundation), Dr. Isadore Bandile Mkhize (past Board Member, Ezemvelo KZN Wildlife), Countess Sylvia Labia (Southern African Wildlife College Trust) and the late Mr. Otladisa Ernest Mokganedi (Department of Environmental Affairs). 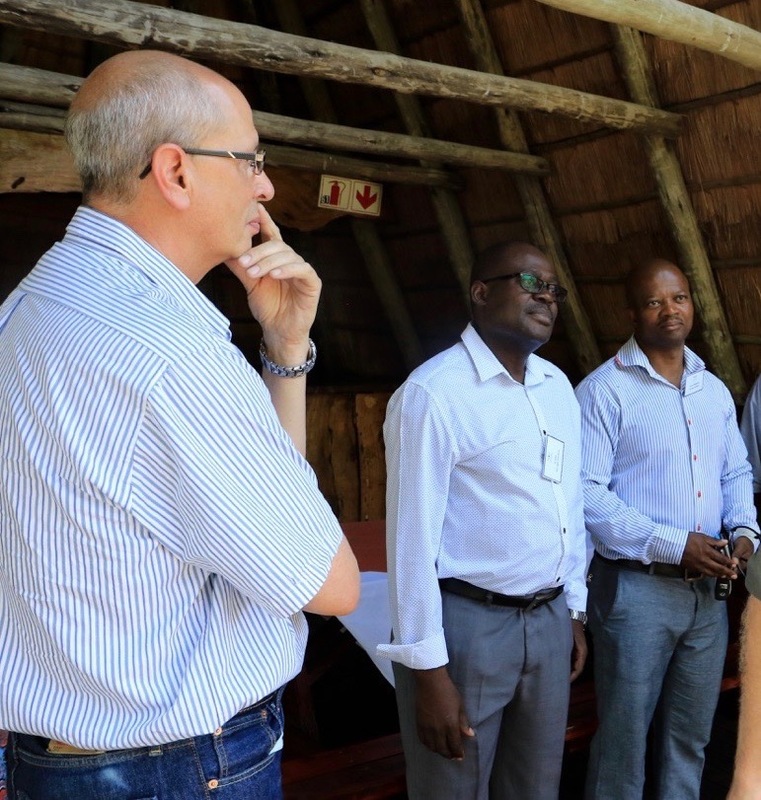 Absent from the visual is Dr. Bartholomeu Soto (Chairperson, Mozambique), Mr. Stephen Abrahams (WWF-SA), Mr. Sifiso Keswa (Ezemvelo KZN Wildlife), Mr. Werner Myburgh (Peace Parks Foundation) and Dr. Glenda Raven (WWF-SA).